Canton James Hardie Siding | Canton James Hardie | Canton James Hardy Siding | Canton James Hardie Fiber Cement SidingMcGlinch & Sons CO.
McGlinch & Sons Co. Home Improvements is acknowledged for being the top home improvement company serving the Greater Detroit Metropolitan Area and Southern Michigan customers ever since 1917. As a highly-regarded family-owned and managed business, we give our customers 40 years of history and experience within the industry. Actually, customer total satisfaction is our main concern and a significant contributing aspect for our 97 years in the business. We handle all aspects of exterior construction and are generally viewed as expert installers of James Hardie Siding. We are shown to be America’s #1 Brand of Siding, James Hardie provides the brand of siding that won’t just improve the beauty, well-being and longevity of your home, but it will also greatly enhance your home’s worth and overall curb appeal! In addition, customers really value the minimal routine maintenance of James Hardie Fiber Cement Siding and genuinely appreciate that it is completely resistant to whatever Mother Nature decides to deliver! As a result, anytime our friends in Canton are looking for the finest product for their homes’ siding, they come directly to McGlinch & Sons for our exceptional James Hardie Siding products. 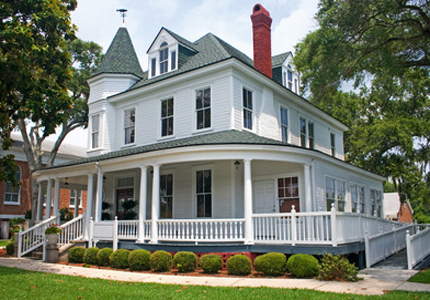 Moreover, McGlinch & Sons’ James Hardie Siding will out-perform both wood siding and vinyl. James Hardie Siding is non-combustible, weather-resistant and fade-resistant, along with being 5-times larger than vinyl. James Hardie Siding also puts an end to moisture and rot from rain, scraping and repainting as well as snow and humidity, too. On top of that, as Hurricane Sandy exhibited the Eastern Seaboard people, James Hardie Siding is hurricane resistant, as well. Despite the fact that persons residing in Michigan don’t need to fear hurricanes, they do encounter extreme hailstorms, windstorms and tornadoes that can potentially harm homes that don’t have any of the James Hardie Siding. As a consequence of its exceptional impact-resistance towards windblown debris, James Hardie Fiber Cement Siding is usually specified by building codes for individuals building in hurricane, tornado and wildfire susceptible areas. Don’t buy into one-siding fits-all type of solution that our competition regularly offers! Call McGlinch & Sons right now at: (248) 987-6300 and check with us about the perfect James Hardie Siding comparable to your type of climate needs.